Protesters held aloft a sign reading, "Arm Cologne" as up to 500 people rallied against attacks by members of the migrant community during the city's New Year celebrations, and the authorities’ failure to stop dozens of sexual assaults which took place. 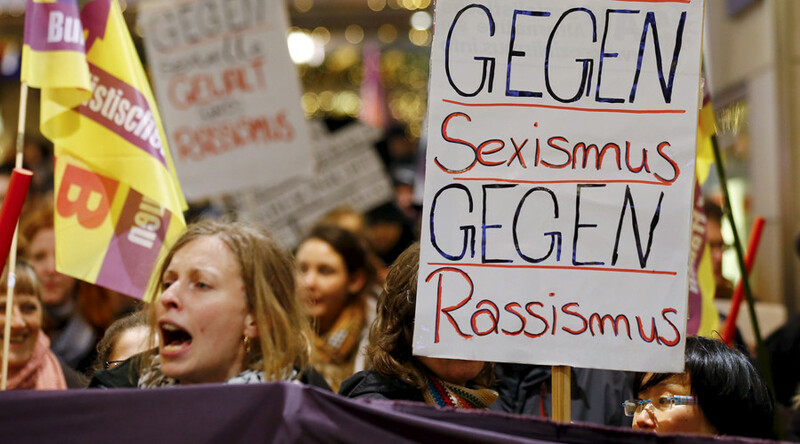 Organized via social networks, hundreds of men and women demonstrated against the intolerable levels of abuse witnessed by women at the hands of certain male refugees at Cologne’s main train station on New Year’s Eve. So far 90 women have reported being sexually molested, threatened and robbed outside Cologne Cathedral by men of “Arab or North African” origin, police said on Tuesday. Addressing a crowd of citizen activists, speakers took turns raising their concerns to the public, urging authorities to defend female integrity. Again and again the question was raised of what law enforcement had been doing on that night to allow such large scale attacks to happen. To quell the New Year’s disturbance in the city, authorities eventually deployed more than 200 officers, involving 143 local policemen in addition to 70 federal officers. So far fewer than a dozen arrests have been made. “It is important to prevent such incidents from ever happening again,” Reker said according to RP Online. The code includes advice to maintain a distance of an arm’s length from strangers, not to walk alone at night, to conjugate with a team of friends, to ask bystanders for help and to inform the authorities of an assault. Reker also called for a “better explanation” of acceptable behavior at public gatherings to the city’s migrant community, as she pledged to step up security ahead of next month’s Cologne Carnival. “We need to prevent confusion about what constitutes happy behavior and what is utterly separate from openness, especially in sexual behavior,” she said, promising to beef up security at mass events. The mayor also called for new regulations requiring event organizers to place temporary video surveillance at public gatherings. 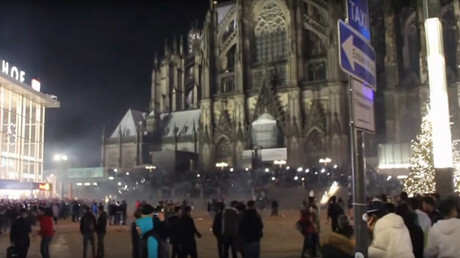 The mayor also revealed that the same kind of New Year’s chaos in Cologne has also happened elsewhere in Germany. In addition to Cologne attacks by migrants on women were apparently reported in Hamburg. At least ten cases were reported over the night of New Year in the St. Pauli district. According to the city’s police, victims had been approached by several men of “southern or Arab appearance” on Beatles Platz and in the Grosse Freiheit, who sexually harassed women aged 18 to 24. Assaults on women have also taken place in Stuttgart where two 18-year-old women had reportedly been sexually abused and robbed by a group of over a dozen men on New Year’s Eve.